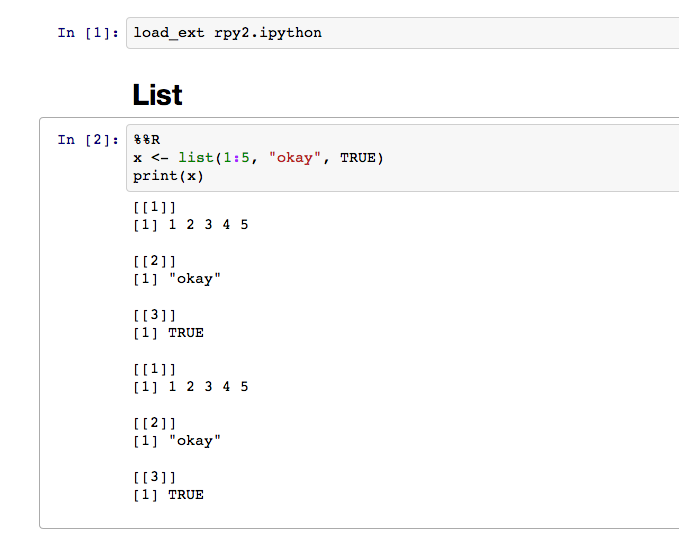 I upgraded to rpy2.ipython from rmagic but it seems that every statement now prints to the console. Previously, an explicit print had to be called. Is there an option to get back the former behaviour ? Basically, I had a conceptual glitch while trying to fix up that logic - R is a Lisp, and withVisible operates on the code it gets in a way that doesn't translate via rpy2's python wrapper (which will operate in pythons function execution semantics, where the innermost is evaluated, return values passed out, etc.). Not the answer you're looking for? Browse other questions tagged ipython ipython-notebook rpy2 or ask your own question. How to use pandas dataframes and numpy arrays in Rpy2?